STATE HOUSE, BOSTON, JAN. 25, 2019.....Fifty years to the day after thousands of protesters rallied at the State House to oppose a highway expansion that would have cut through the greater Boston area, veterans of that movement and other activists returned Friday to mark the anniversary. 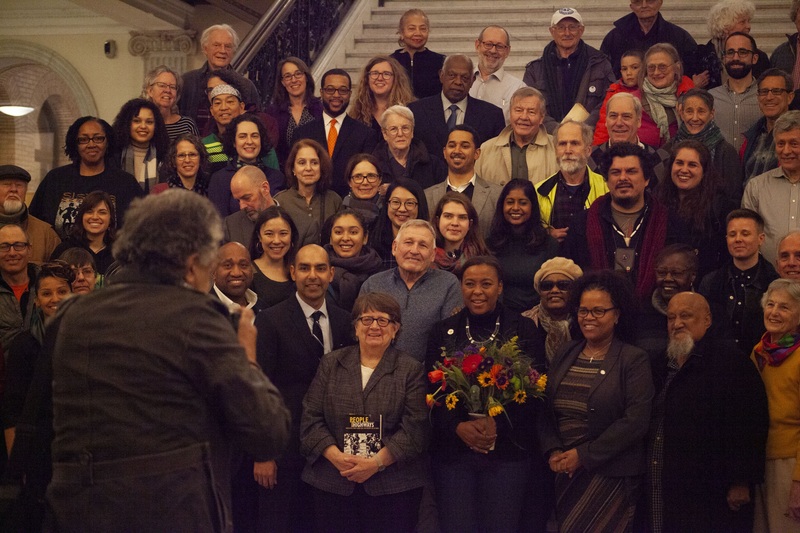 Attendees gathered in front of the Grand Staircase for a ceremony honoring the 1969 protest, known as the "People Before Highways Day." The protest and subsequent efforts successfully blocked the so-called Inner Belt and Interstate 95 construction projects that had been proposed as part of a sweeping federal highway update.